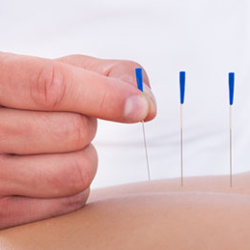 Dry needling uses the some of the same tools as aucupucture, but it is a separate discipline made to directly benefit the muscles. 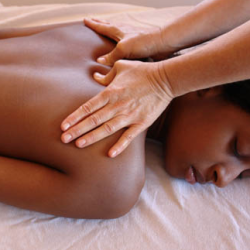 Releases tension, promotes relaxation, speeds healing. Are you new to Heritage Health? and bring forms to the office, or please arrive 20 minutes early for your first appointment. The Heritage Health office is open Monday through Saturday, with early morning, lunch hour, and evening appointments available. Call 303-694-1245 or click below to schedule. I always enjoy my visits to this establishment. The quality of care is top notch and the atmosphere is inviting. I recommend all of the practitioners, Mike and Paul always extend a warm welcome for everyone on every visit. Getting adjusted helps to keep me from getting sick, which I have not been sick since the 1990s. It also helps when I am in pain due to my spike being twisted pinching my nerves. The team at Heritage Health are my heroes. I say this because everyone on this team has fantastic expertise as well as care delivery that is genuinely compassionate. I am always difficult due to all the illnesses that I have actively flaring at any given time. And I always end up leaving feeling better than when I came to the office. Dr. Paul’s adjustments take care of my neck, spine and joint mal-alignments and helps me feel less in pain. Robbin’s acupuncture treatments work on pain and systemic issues to complement more traditional care I get through a spectrum of specialists treating complex health issues. Dr. Mike has also taken excellent care of me on the very rare times that Dr Paul was away, just giving re-assurance that this team of experts are truly complementary in technique and communicate well with each other as needed on behalf of their patients. And Melanie does a great job in her support of the doctors and patients! The Heritage Health team is critical to my wellness and I feel so fortunate that they have been working with me these last 5 years or so.